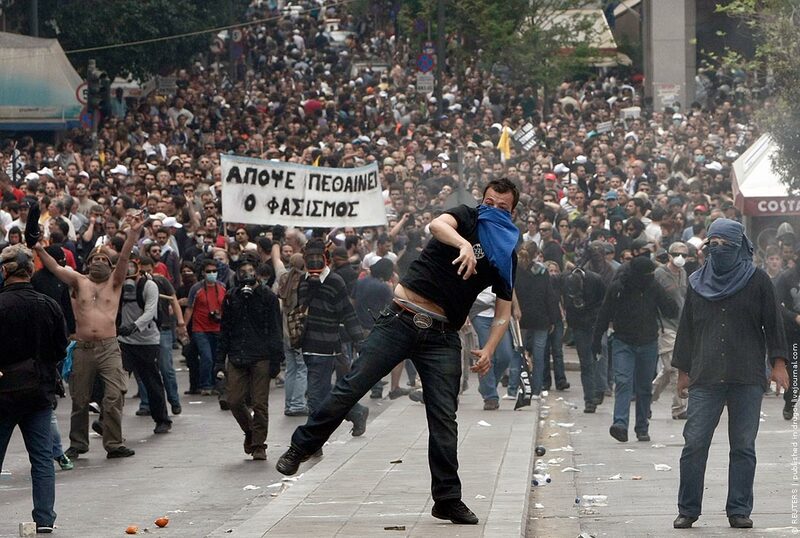 One constantly hears the word “Chaos” associated with Greece. Anyone reading or watching the news is presented with a pretty clear narrative of economic chaos, civil disorder, strikes, protests, the rise of ultra rightwing political parties, mass unemployment, increasing socio-economic division and ugly violence. Evidence of a state tottering on the edge of complete dysfunction is apparent everywhere in Athens,” says a report by The Economic Times (ET). “Traffic signals work sporadically; a sign giving the shortened hours of one of the world’s great museums, the National Archaeological Museum, is haphazardly taped to the door; police officers in riot gear patrol the perimeters of the universities, where a growing population of anarchists, disaffected young people and drug addicts congregate in communal hopelessness. 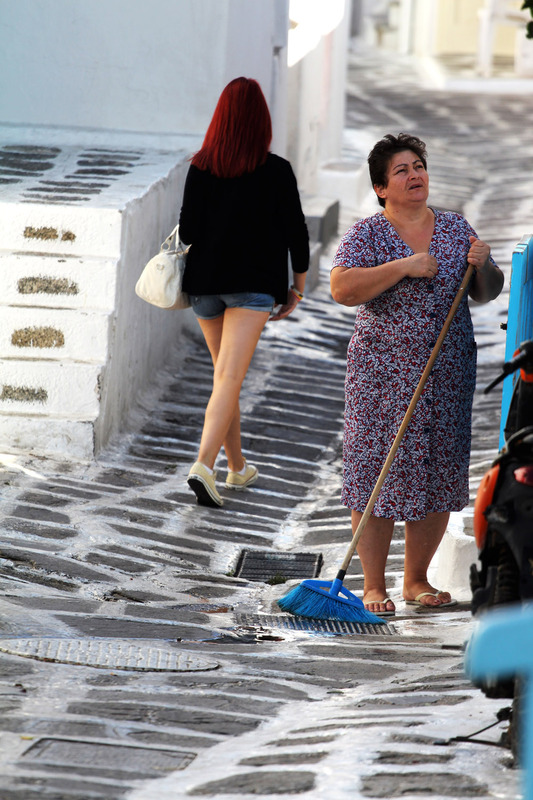 Yet our image of the state of affairs in Greece is significantly distorted by these messages, which fail to report that most of the time life goes on in Greece, with much of the country retaining its functionality and most citizens obeying the law. Let me be perfectly clear from the start here, I am neither questioning nor denying the scale of Greece’s economic and social problems, which are quite extraordinary, rather I’m calling into question the image that is being painted of Greece by the media, which may ultimately make matters worse for a country so heavily dependent on tourism. During a recent visit to Greece, albeit for a mere ten days, I was continually surprised by how little “chaos” was evident. I don’t pretend to have sufficient knowledge or experience of what is happening across the country, but only wish to explore this whole question in the light of my limited experiences. 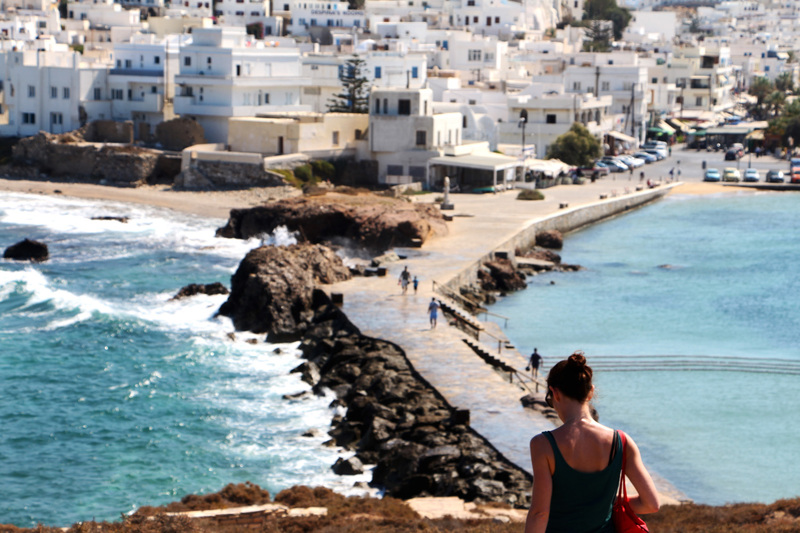 To begin with, I spent most of the time I was there on the islands, travelling from Rhodos, to Santorini, then onto Mykonos via Paros and Naxos. In none of these places was there any evidence of economic downturn. The islands, in fact, were booming with tourists. 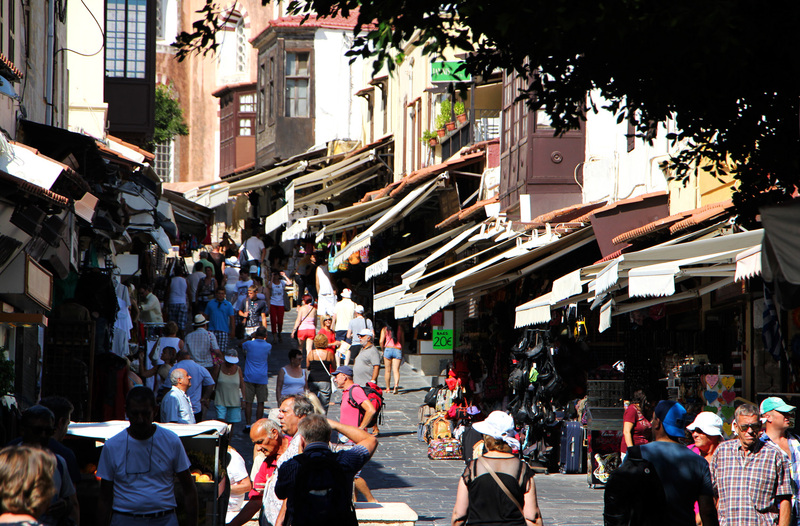 In the last two weeks of September, Rhodos was drowning in Russians, to the point that at times the streets were packed to a degree for which Venice is famous. 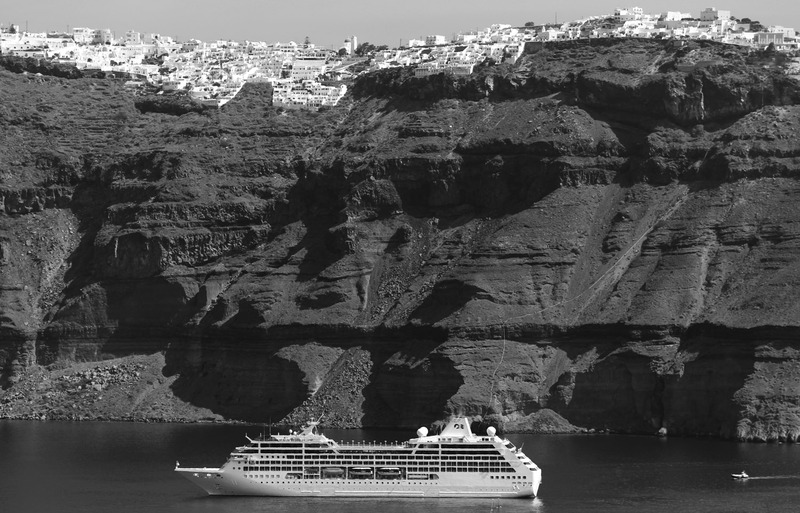 Our hotel owner in Fira, on Santorini, told us that this year was the busiest he had ever seen, with the season seemingly extending its high point into early October. 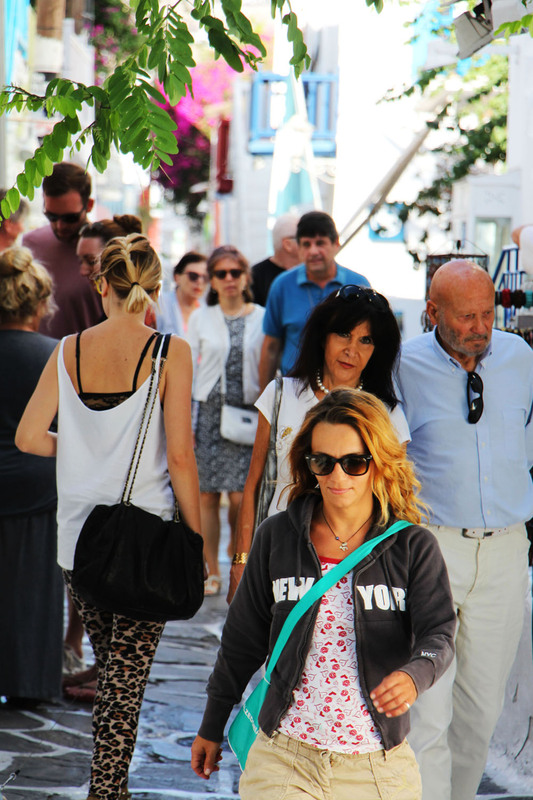 There was no evidence of disorder, poverty, homelessness, nor shut-down businesses on either Paros or Naxos, and Mykonos was as busy as ever, if not more so than usual. The people I spoke with gave no sense of any crisis taking place. Indeed, the only crisis they seemed to be facing was meeting demand. It goes without saying that, economically, the islands are very different to the mainland and, in many cases, attract more tourism. They are far less reliant on industrial production and are largely comprised of small businesses, rather than large-scale corporations. The islands are also diverse enough that each faces its own particular set of circumstances, and there are likely worse sets of circumstances in some of the less heavily-touristed places. Crete, though also a popular tourist destination, has been home to political protest and unrest. We must also consider that the ability of the islands to weather this kind of severe economic downtown is largely built into their seasonal business model. If you run a business that shuts down during the off-season, you likely have measures in place to survive through extended periods without income from that business. Of course, one high season with few customers could make it impossible to survive through to the next high season, yet most businesses do appear to have survived through this period, and some have thrived. 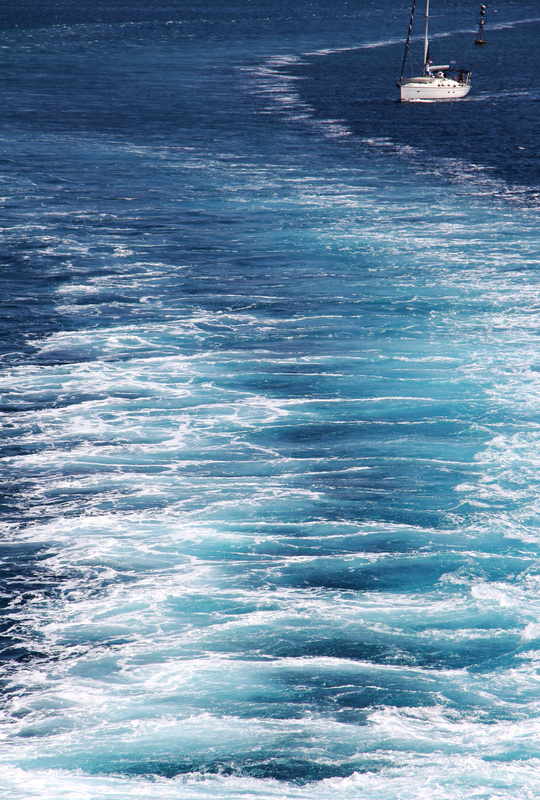 And, so far as I could tell, the ferries still run on time. Again, this might simply be a consequence of the fact that tourist numbers have not significantly diminished on the islands, in some cases, quite the opposite. Anyone who is considering visiting the Greek islands as a tourist should have no concerns beyond finding cheap accommodation. The islands are as calm, fun and beautiful as ever. Athens, on the other hand, was a different affair. It was clearly evident that a large number of businesses had shut down across the city centre, which was now more covered in graffiti than ever. Slogans of protest very prominent among the tags and murals, but mostly the graffiti seemed to be just the kicking out of frustrated, unemployed youths. There were a lot more street buskers and musical troupes plying the restaurant scene than I recall, but no sense of systemic collapse or dysfunction. Sure, on the evening we arrived in Athens, via the port of Piraeus, two of the metro stations were shut down – including Syntagma – on account of a protest taking place outside parliament. This, however, was merely a large-scale, non-violent protest which caused a brief disruption to the service. Otherwise the metro ran perfectly smoothly. The mood of the people seemed more positive than I expected, though perhaps this is simply because, in the centre of Athens, there was, as on the islands, no shortage of tourists. Long prided as one of Europe’s safest capitals, this ancient metropolis is cowering in the shadow of harrowing crimes and lawless rampages. Written in the wake of the brutal stabbing murder of the anti-fascist musician Pavlos Fyssas by a member of the neo-Nazi Golden Dawn political party earlier this year, such a statement would be enough to put anyone off going to Athens. The aftermath of this incident did indeed cause a fresh outbreak of violent clashes in several cities; Patras, Thessaloniki, Xanthi, Larissa and in Chania on Crete. 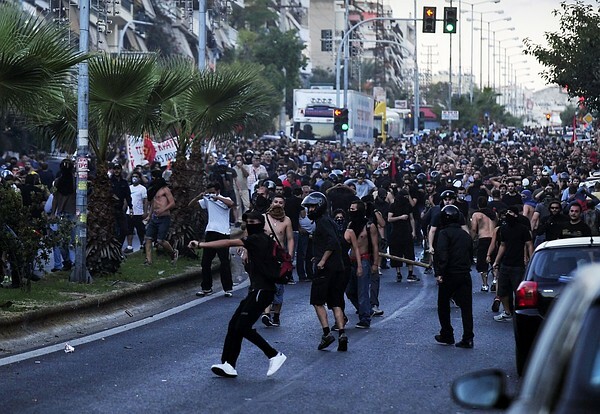 In Athens, two days after the murder of Fyssas, mobs of ultranationalist youths ran through the centre of Athens attacking illegal immigrants. Many of the huge demonstrations that have taken place across the country have resulted in violent clashes. 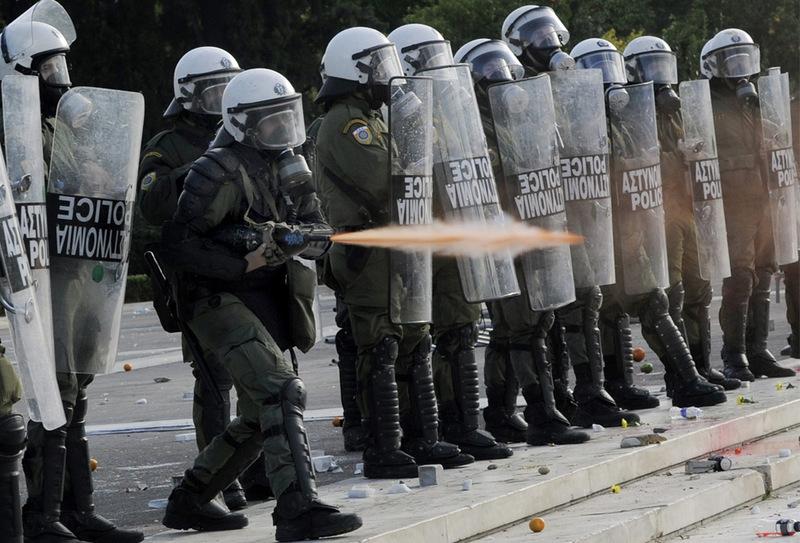 When the Greek parliament voted for austerity measures allowing them to access a 130 billion euro bailout, the parliament building was ring-fenced by roughly 4,000 police officers. In the riots that followed, the city’s best-known cinema was burned to the ground, along with nine other national-heritage sites. That protests should turn violent and destructive is always a concern, yet, as with the London riots, this phenomenon is sporadic and linked with political decisions. It is by no means an everyday occurrence. Violent crime has indeed increased significantly in Athens since the debt crisis struck, and there are legitimate fears that it might get worse before it gets better. Armed robberies were at historic lows in the capital in 2007, but the figure had more than doubled in 2009, the onset of the financial crisis, according to police data. Thefts and break-ins jumped from 26,872 recorded cases in 2007 to 47,607 two years later; homicides likewise nearly doubled in the period. Cuts to government budgets have left the police unable to pay for equipment maintenance and replacement, resulting in, for example, only a third of cars and motorcycles being available for patrols. Still, as alarming as a doubling of the crime rate is in any society, it does not constitute the complete breakdown of law and order. The rise of ultra-rightwing parties has, quite naturally, alarmed both Greeks and international observers. 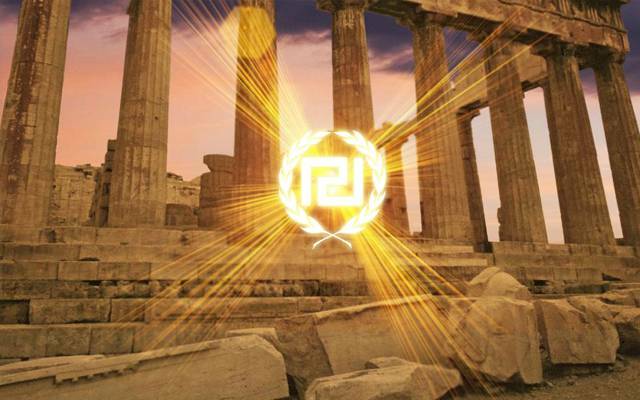 Golden Dawn, whose senior members have expressed admiration for Adolf Hitler whilst denying that they are in fact a Neo-Nazi group, won nearly 7% of the vote in the general election last year. More recent polling indicates support as high as 12%. 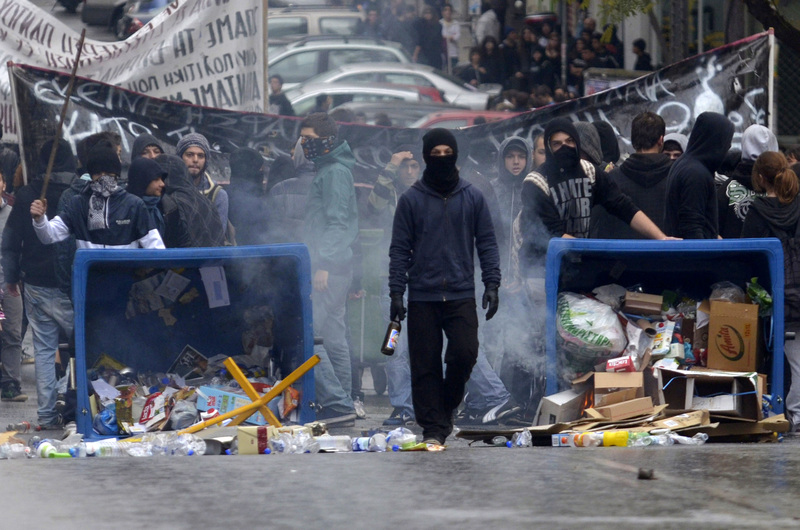 Members of the party and their supporters, often dressed in black shirts and combat pants, have been responsible for a large number of attacks – beatings and stabbings – across Greece, many directed at darker-skinned migrants. Again, however, we must put this into context. Those figures likely represent a proportion of the population who would normally hold more strong, rightwing views – but circumstances have encouraged them to voice sentiments they might otherwise keep to themselves in more moderate times. Let’s not forget that in the presidential elections in France, in 2002, 17.79% of the people voted for the ultra-rightwing National Front president Jean-Marie Le Pen, whose views on the holocaust, Islam, race and AIDS have been highly controversial. In 2007, he received 10.4% of the vote; still a strong level of support, but diminished in better economic circumstances. The popularity of extreme political positions has long been tied to the economy and Greece is no different in this regard. The seeds for all this were sewn long ago. The origins of the European debt crisis go back as far as 2002, in the immediate wake of monetary union. Low interest rates and a booming housing market in Spain and Ireland led to exorbitant, unaffordable borrowing, which brought significant instability to the banking system. Greece, from the start, lied to the European Union about its level of debt in order to conform to the strict rules of the monetary union. A misdiagnosis of Greece’s problem only exacerbated the situation. Initially, Greece was thought to be suffering from a liquidity problem which could be solved with large loans. Greece was advised to balance its budget, increase taxation and reduce spending, yet the real problem lay in a lack of economic growth, in part a consequence of policies which, in effect, discouraged private enterprise. Indeed, at the start of the crisis, Greece ranked 100th on the World Bank’s ease of doing business list – behind Yemen. By 2012 this position had advanced to 89th, and in 2013, to 72nd, a significant improvement. The strategy of implementing vast cuts in one of the most comprehensive austerity programs in economic history, ultimately backfired by further reducing economic growth and causing unacceptable levels of public suffering and systemic dysfunction through reduction in services. According to an IMF study, the increase in the share of the population living at “risk of poverty or social exclusion” was not significant during the first 2 years of the crisis: the figure was at 27.6% in 2009 and 27.7% in 2010 (and only slightly worse than the EU27-average at 23.4%). In 2011, however, the estimated figure rose sharply above 33%. One of the principal goals of the austerity measures was the restructuring of Greek debt – to reduce the country’s debt-to-GDP ratio to roughly 160% of GDP from a forecast high of 198%. This figure, as its name suggests, measures the ratio between a country’s national debt and its annual gross domestic product. A low debt-to-GDP ratio indicates an economy that produces and sells goods and services sufficient to pay back debts without incurring further debt. Governments aim for low debt-to-GDP ratios, and whilst some countries maintain ratios higher than this – Japan current sits at roughly 204% – in Greece, the figure was unsustainable. In other words, they were unable to service their debt and thus avoid its continued escalation. The strategy employed by Greece is based on the principle that lower interest payments in subsequent years, combined with fiscal consolidation of the public budget and significant financial funding from a privatisation program, should ultimately bring the debt-to-GDP ratio down 120.5% of GDP by 2020. It doesn’t help that since the crisis began, Greece’s GDP has continued to decline. Since 2008, real GDP has fallen by more than 17%, and some forecast this figure to bottom out at 25% before it turns around. Greek GDP suffered its worst decline in 2011 when it clocked negative growth of −6.9%. In that same year, Greece’s industrial output declined 28.4% and 111,000 Greek companies went bankrupt (27% higher than in 2010). Of course, the numbers say nothing of the pain and suffering involved in this process. Unemployment has grown from 7.5% in September 2008 to a then record high of 23.1% in May 2012, while the youth unemployment rate during the same time rose from 22.0% to 54.9%. This roughly mirrors the decline in employment in America during the Great Depression of the 1930s. In mid 2013, youth unemployment reached almost 65%. An estimated 800,000 people, in a population of just 11 million, were without unemployment benefits or health cover. On top of this, Greece now has an estimated 1,000,000 workers who regularly go unpaid, and yet who remain employed and continue going to work for fear of losing any chance of being paid altogether. With the banks unable or unwilling to lend money to businesses, one of the few means they have of freeing up capital is to hold onto money earmarked for wages and salaries. The social effects of these austerity measures have been savage to say the least. Some Greek citizens have resorted to seeking help from NGOs to replace cancelled government welfare services, others have put their children up for adoption. The suicide rate, once the lowest in Europe, has risen by 40%. Dimitris Christoulas, a 77-year-old pensioner, shot himself outside the Greek parliament in April because the austerity measures had “annihilated all chances for my survival.” Patients with chronic conditions receiving treatment at state hospitals in Athens have been told to bring their own prescription drugs. 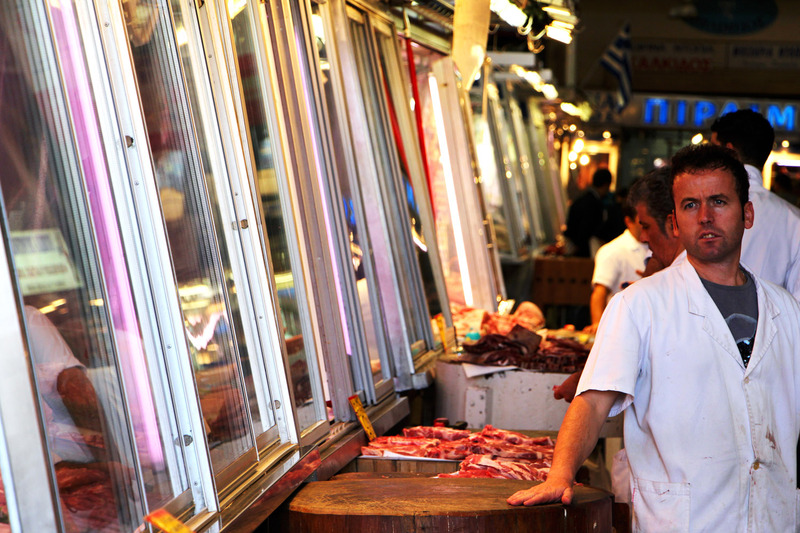 An estimated 20,000 Greeks were made homeless during 2011, whilst almost 20% of shops in Athens were shut down. In 2012, statistics indicated that 1 in 11 Athenians – roughly 400,000 people, were visiting soup kitchens daily. There has, of late, been some faintly hopeful news for the state of the economy. On Monday, Moody’s announced that it was upgrading Greece’s credit rating from C to Caa3, a two step jump up from the bottom of the ladder. Moody’s further estimated that Greece will in effect have balanced its budget by the end of 2013 and move into surplus in 2014. Prime Minister Antonis Samaras announced they were expecting economic growth of 0.6% during 2014. “The sacrifices of the Greek people are paying off,” said the deputy finance minister, Christos Staikouras. Yet all would agree that the scale of that sacrifice has been far too great. 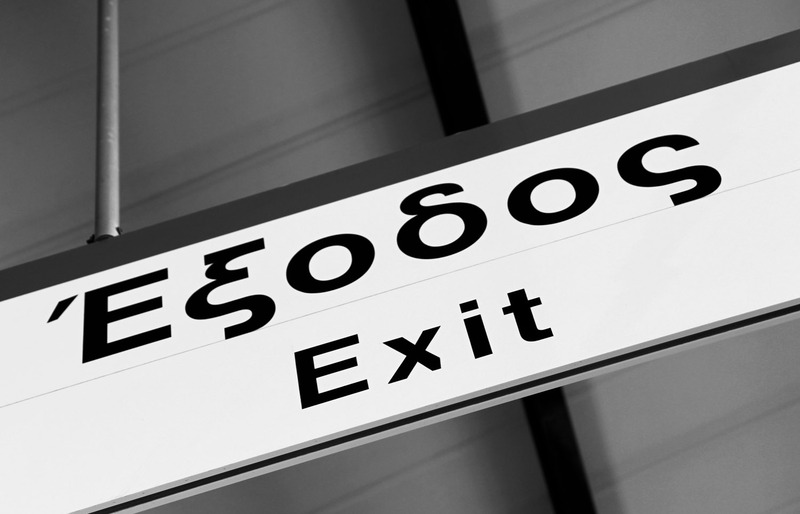 One of the biggest problems Greece faces is the old bugbear of tax evasion and corruption. Each year government revenues have been considerably lower than expected, with tax evasion estimated to cost Greece almost $20 billion a year. It’s easy enough to conclude from this that all Greeks must bear responsibility for the crisis – but ultimately the responsibility must rest with the government who are in a position to allow or put a stop to tax avoidance through legal action and legislation. All governments know that their citizens will try to avoid paying tax, the question is how effectively they prevent them from getting away with it. 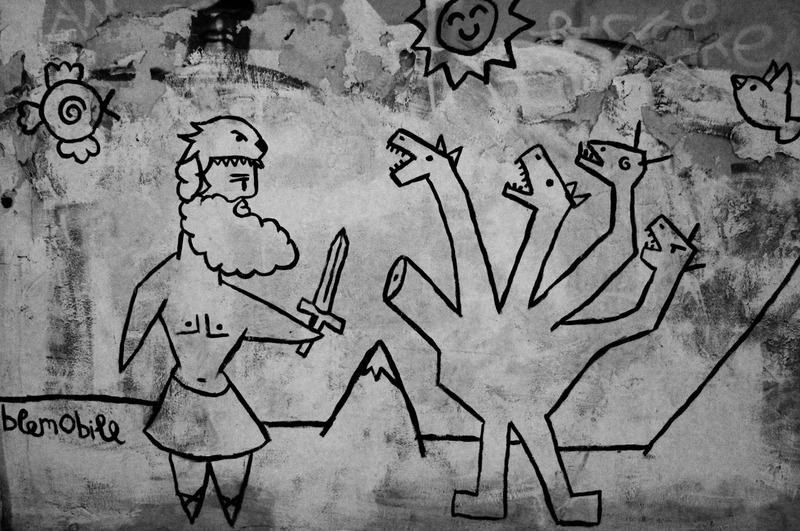 There is much more that could be said here – the whole debate around the pros and cons of a Grexit – Greek exit from the Euro; the fundamentals of the Greek economy – which boasts the largest shipping industry in the world (yes, that is correct), and further exploration of the political and social conditions across the country. Yet, the point I am making here is that despite these seemingly insurmountable and crippling problems, Greece retains a great degree of social cohesion and order. It has not, in fact, collapsed into chaos and lawlessness as some reports seem to suggest. Indeed, I would argue that Greeks have shown a quiet restraint and, comparative to the scale of the economic crisis they are facing, an appropriate level of righteous indignation. Who wouldn’t be up in arms if corruption and poor economic management, as well as lax oversight of taxation had practically bankrupted not merely the present, but also the future? That the Greeks have not yet had a revolution and overthrown their government is a testament to the high levels of education, community responsibility and general good-naturedness amongst Greek people. How long this can go on for, how much Greeks can learn to live with any further entrenchment of these conditions in the long term, is yet to be seen. But, it is irresponsible to give the impression of the country being in a state of chaos, especially when they so desperately need our tourist dollars more than ever. All this is very tragic indeed. 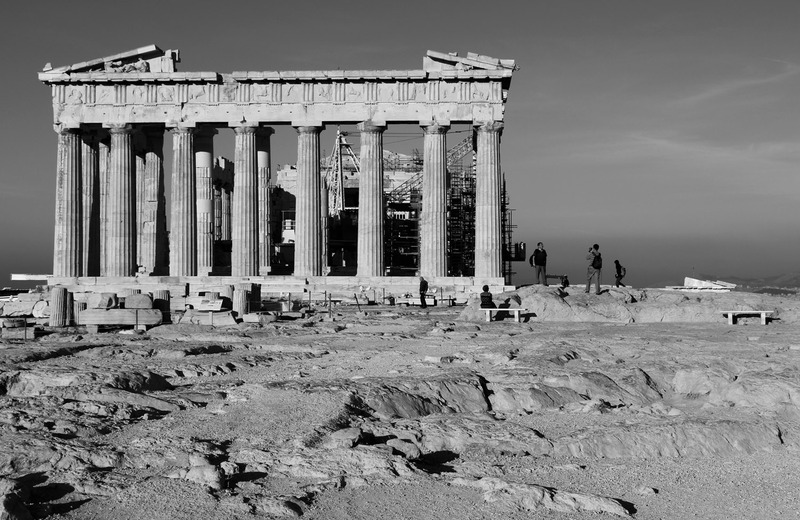 In the long and remarkable narrative that is the history of Greece, the turn of the twenty-first century likely marked the country’s economic highpoint since the Byzantine era. That they should fall so hard after just a few minutes of economic sunshine is indeed unfortunate – a fate no one could wish upon them. How long it will take to turn this around and what it will ultimately cost is uncertain, but we certainly can help by going there. The fact that tourist numbers seem as strong as ever, may make this whole discussion redundant. Yet Greece has a hell of a long climb to get out of the hole into which it has fallen and needs all the help it can get. 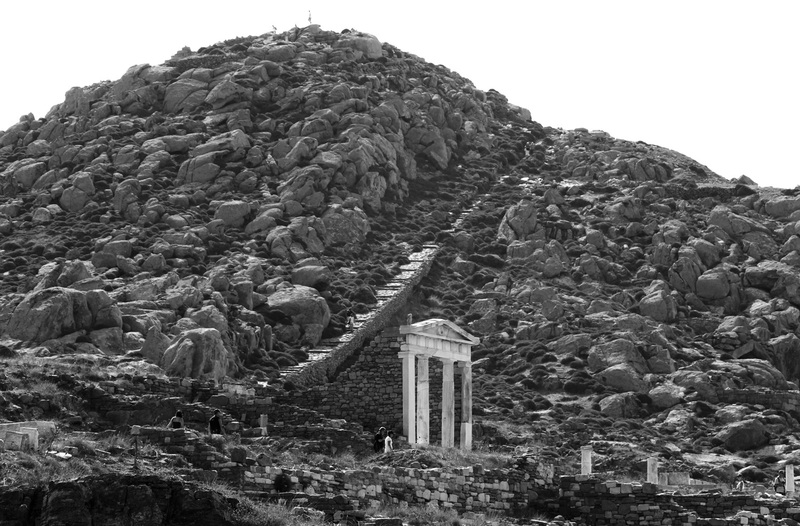 So, go to Greece I say, and not only will you have a wonderful time, but you’ll be helping the cradle of democracy and western philosophical inquiry get back on its feet. 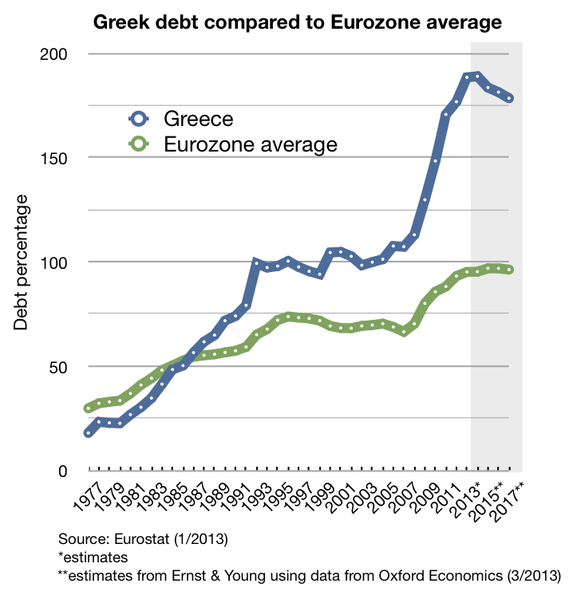 If you think about it, the debt we owe Greece is far greater than the debt they owe to their financiers. After all, it’s only fucken money. Disclaimer: All of the photos of the riots were sourced from various news sources on the net, whilst the graph hails from wikipedia – the rest of the images are my own. Sad that some of the most ancient centers of civilization are hurting so badly – look at Egypt and Iraq. Compared to the issues in those places, Greece is doing just fine. At least the Greek tourism sector is still healthy.